GoGuardian is web based management software for use with our Chromebook cart. If you'd like to begin and get a feel for the system, here are some steps to get you started. For more in depth training, feel free to contact Tech Support for a short training session. 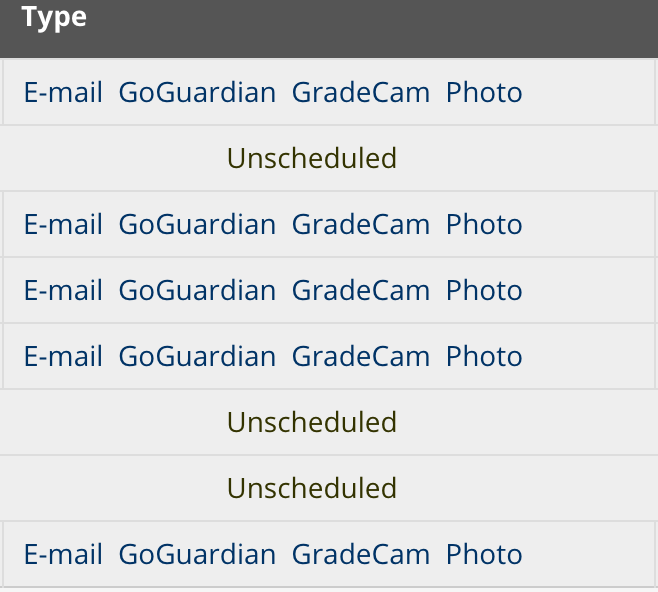 First off, since we'll want to use GoGuardian to manage our class usage of the Chromebook cart, first we'll need to get a file with our class information in it. You'll want to log into support.sluh.org and search for yourself in the SLUH What Where field. On that page, you'll click the GoGuardian link to download the CSV file you'll use to import your class members. Now that we have the CSV file, we'll want to log into GoGuardian. 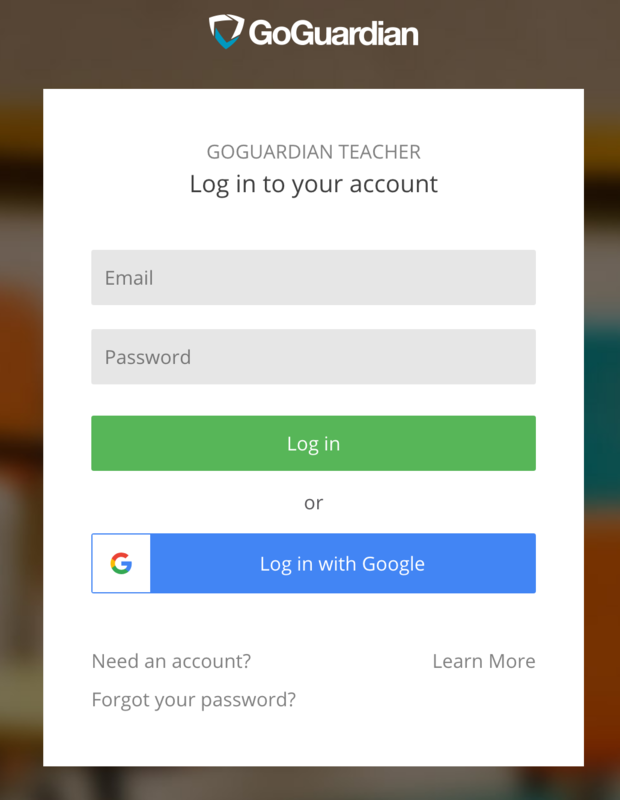 Go to http://teacher.goguardian.com and choose to login with Google. Choose your school account and you should then be logged in. If it does not let you in, please contact Tech Support to be added. Once logged in, click the Add Classroom button on the right hand side of the screen. Fill out the name ofthe course, a subject, leave the scene set to none, choose a color, then click to Add. On the schedule portion, you can just click Skip, as manually beginning a classroom session is straightforward and better for our use. On the Add Students window, choose to Upload CSV. Click Choose File, then find and select the CSV that we downloaded from support, then click Import Students. After that finishes, you will see a list of all the students you imported. You may see them just listed as student id numbers. Don't worry: after they log into the Chromebooks and you start your management sessions, their actual names will begin to populate. Speaking of the class sessions, you will see Sessions listed near the top of the screen. Click that. You will see an option to Start a New Session on the right hand side of the screen. Feel free to set a session length of whatever you want. If it's a little long, you can end the session manually when you're done instead of letting it tick down the whole way. Wait until the students have logged in to the Chromebooks, thenclick Start Session. The students will begin to load and their screens will start to show what they're doing. There are many options for interacting with them during the session, similar to Apple Classroom. Feel free to experiment on your own or you can email Tech Support to arrange a short in depth training session. When done with class/the Chromebooks, you can just click End Session. Congratulations! You've just completed your first GoGuardian monitoring session. Again, for a more in depth breakdown of classroom use, feel free to schedule a training session with Tech Support.